Feng, “Review of Chinese Aerospace Power: Evolving Maritime Roles,” Information Dissemination, 16 August 2011. I recently had a chance to read “Chinese Aerospace Power: Evolving Maritime Roles.” This book is the fifth installment in the series “Studies in Chinese Maritime Development” and can be found here on Amazon. 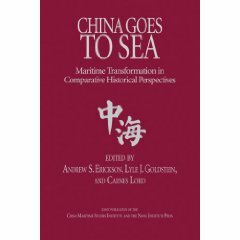 In the past, I have found works by Andrew Erickson, Lyle Goldstein and the good folks at China Maritime Studies Institute (CMSI) to be of the highest quality and this book was no exception. 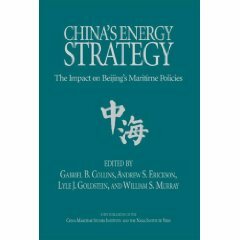 This book not only includes contributions from professors at CMSI, but also serving/retired commander/officers, military attachés to China, policy makers and numerous China contributors from different think tanks. It does a great job of understanding China’s motivations/intentions, while fairly examining PLA’s capabilities and training. 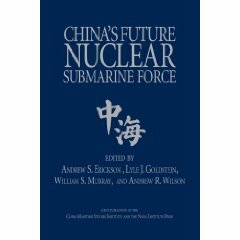 For those seeking for a greater understanding of China’s air force, space development and Second Artillery Command, I think this is a must read. More than anything else, it drew from a wide range of primary research and Chinese sources which have not appeared in any other unclassified Western publications. I believe that this book shows that we can all learn a lot more about PLA and its intentions by going through thousands of Chinese publications and news articles. I want to point out several sections that really stood out to be me. In part 1, this book took a really good look at the existing Chinese doctrine in gaining air dominance over Taiwan straits through PLAAF and 2nd artillery. In particular, Wayne Ulman’s section on PLAAF strategy, training and modernization is extremely well done. I though Kevin Pollpeter and Anthony Mastalir both have very informative sections on PLA’s desire to have stronger space presence and limit American space dominance. Garth Hekler’s piece on Chinese EW effort was very well researched, because it really looked at all of China’s open sources and summarized the parts that Chinese researchers have focused on. It really talked about what Chinese researchers think have contributed to US success and China’s own research on those areas. Dennis Blasko’s piece on helicopters provided a lot of solid information on PLA helicopter training. It is a very detailed piece on the areas that PLA helicopter force has grown in and also the areas that PLA still needs more training/improvement. I also appreciated the extensiveness that Lanzit and Chen talked about the join operational training and exercises between naval aviation and PLAAF with PLAN ships. While we have seen a lot of pictures of such cooperation, the authors do a good job of describing the kind of maritime strike missions conducted in these joint operations. Ron Christman’s section on China’s Second Artillery Corps is simply excellent. The most interesting part describes SAC’s operational doctrine, preparation and training facing an overwhelming opposition (US) in the Taiwan scenario. On top of that, I was pleasantly surprised by all of the new information/analysis that I found in this book regarding China’s ASBM program. I have read many differently analyses on ASBM (including several by CMSI), but this book really provided a much more comprehensive look than anything else I have read. The discussions on subjects like conflict escalation of ASBM, hard kill vs soft kill and non-carrier targets were very refreshing. So, for all those who are interested in learning more about China’s Air Force, space development and Second Artillery, I think this book would be an excellent read. 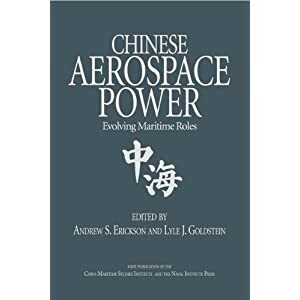 For complete information, see Andrew S. Erickson and Lyle J. Goldstein, eds., Chinese Aerospace Power: Evolving Maritime Roles (Annapolis, MD: Naval Institute Press, 2011).